Provide a stylish presentation for grates cheeses with this Tablecraft P260 Cheese Shaker. 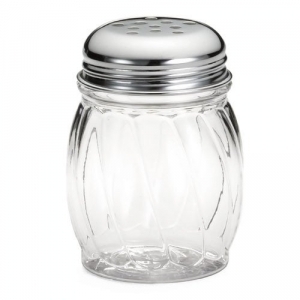 Made with a Lexan container the Tablecraft P260 Cheese Shaker is break resistant and has a 6 ounce capacity with a perforated stainless steel top. 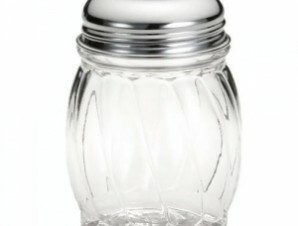 With an attractive design the Tablecraft P260 Cheese Shaker will fit any table service.